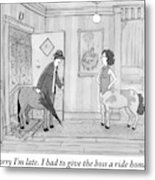 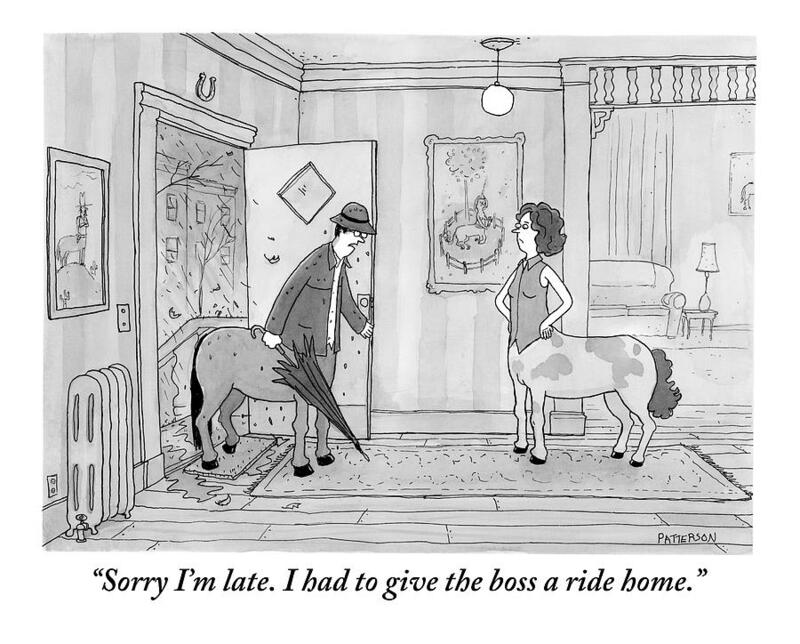 Caption: "Sorry I'm late. 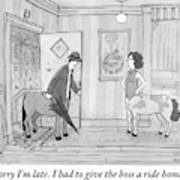 I had to give the boss a ride home." 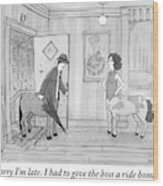 Description: A male centaur, dripping wet from the rain, opens the door and is greeted by his centaur wife.